Home / Education / What is Covered in the 10 Hour General Safety Online Course? 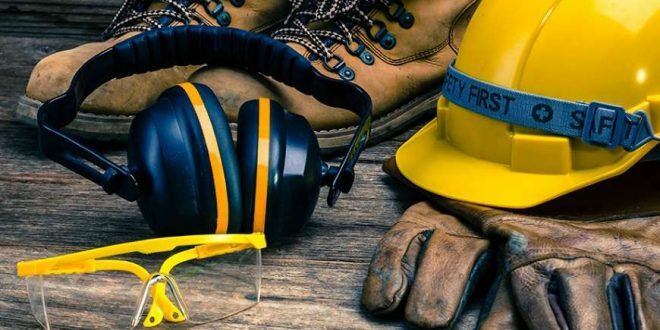 Omega Safety Training’s 10 Hour General Safety Online Course is a beginner’s level training program offered to educate workers prior to entering the workforce, based on the OSHA 1910 standards. This program generally focuses on OSHA; also known as the Occupational Safety and Health Administration is taught to ensure safe and healthy working conditions for all employees and employers. Within OSHA, you will be familiarized with a span of things including employee rights and responsibilities, recognizing and preventing hazards, material disposal, and hygiene. 1.) Introducing to OSHA. Understanding the OSH Act and OSHA itself is the main objective of this course. You must know the meaning and requirements of it as well as the inspection process. The health and safety of yourself and everybody around you is of utmost importance! 2.) While still falling under the safety regulations, walking around any job site must be just as safe as walking anywhere else. Generally directed towards construction jobs, you will learn what the duties each walkway & surface can support as well as objects on the surface. 3.) As stated, multiple times, your safety is very important! In the event of an emergency, you must be educated enough to direct yourself to safe grounds as well as anybody else around you. There are hundreds of scenarios for each job site, it is your responsibility to know which ones come into pay for your specific instance. 4.) Hazardous Materials are any material that has the potential to cause harm to humans, animals, or the environment, either by itself or through interaction with other factors. This section will cover exactly what they are, what they can do, and how to handle them in order to prevent an accent. 5.) Under this section you will learn about the special equipment designed for every job. This equipment is built to ensure the safety of employees and employers. This includes items like hard hats and harnesses. 6.) The list of possible machinery-related injuries is very long and 100% avoidable. You will learn how to prevent accidents involving machinery by using machine safeguarding. 7.) Still, on the subject of safety-related accidents, electrocution is on that list! Covered under this section, you will see the effect of electricity, how it can cause harm, and much more. 8.) This segment covers the communication of hazardous chemicals, materials, etc. to all other employers and employees. 9.) You will be introduced to industrial hygiene which may prevent yourself and other employers from being exposed to hazardous materials, bloodborne pathogens, etc. 10.) Conforming to evolving workplaces and potential hazards OSHA loves to stay on top of it and keep everybody else up to date. Presented in programs. Upon completion of Course, and the satisfactory exam score participants will receive a 10-hour general industry safety certification completion card instantly.